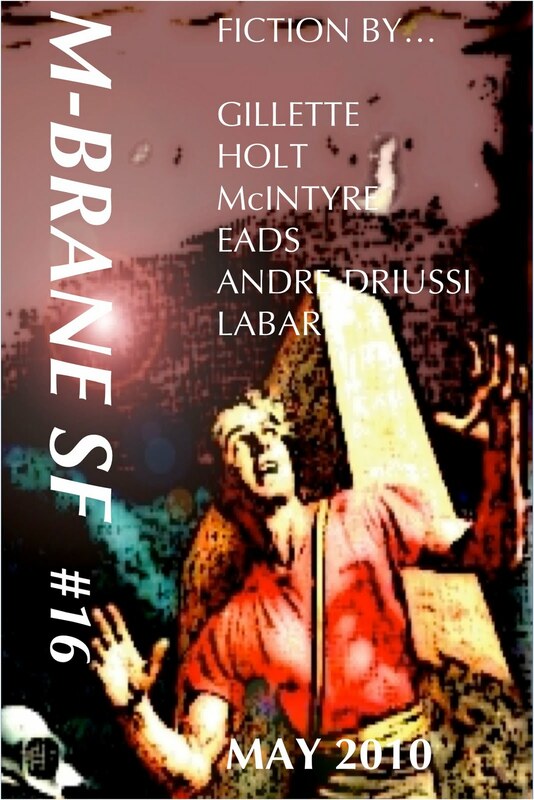 Glenn Lewis Gillette is the author of this zine's first story ever, appearing last year on page one of M-Brane #1, while T.J. McIntyre appeared in M-Brane #3. Michael Andre-Driussi has appeared twice recently in M-Brane. 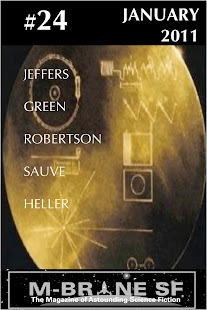 New to our pages are Kay T. Holt, co-editor of Crossed Genres; Sean Eads, a reference librarian and writer from Colorado; and Bob Labar who makes his print debut with his unusual and experimental story.